IT decision-makers are under pressure to accelerate the performance of their databases in today’s era of exponential data growth, the internet of things and big data analytics. Mission-critical databases such as Oracle and Microsoft SQL Server must deliver more data more quickly to more locations to support modern business initiatives and digital transformation. The emphasis on database performance is one reason many enterprises have delayed moving Oracle, SQL and SAP databases to the public cloud. IT decision-makers can’t risk performance gaps in these mission-critical apps, nor can they afford to fall behind the competition in taking advantage of technology innovation, such as all-flash storage arrays. To date, many IT leaders have not viewed public cloud as a viable option for these databases. Things have changed, however. 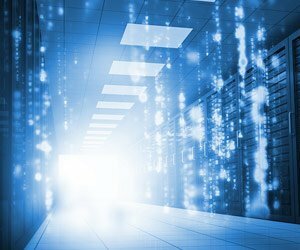 With the right cloud solutions, IT teams can not only mitigate the risk of gaps in database performance and availability; they can now use public cloud to leverage modern storage technologies such as VMware vSAN and Intel Optane to drive improvements in the performance and availability of their databases. IT teams are facing a perfect storm of factors that are necessitating improvements in database performance and availability. They are dealing with more volumes and types of data, along with growth in transactions, analytics and mobility. At the same time, business leaders have much higher “consumerized” expectations in terms of how to utilize data effectively to drive competitive advantage and digital disruption. The right public cloud solution can provide a fast track to greater database performance while also leveraging cloud agility, economics, elastic scalability, self-service and Opex pricing. Cloud can also help IT mitigate the risk of time-consuming and expensive procurement, deployment and management of on-premises infrastructure for database applications. Public cloud for mission-critical databases is a relatively new path for IT to consider, available only via the partnership between IBM Cloud and VMware. Critical to this is the ability to leverage VMware vSAN in a public cloud environment for the underlying storage infrastructure. With vSAN, IT teams can easily access storage innovation without having to change the underlying architecture and go through costly migrations and forklift upgrades every few years. vSAN uses an all-flash architecture that is built on a software-defined model. This provides enormous flexibility in selecting the storage platform of choice, depending upon the needs of particular applications and workloads. For mission-critical databases, vSAN architecture can deliver performance of 150K IOPS per node with sub-millisecond latencies. vSAN also makes it easy to incorporate storage innovation. An example of this is the availability of Intel Optane DC Persistent Memory technology as part of the Mission Critical VMware on IBM Cloud portfolio of solutions. IBM Cloud is the first public cloud service to offer Intel Optane as a feature for database environments. With Intel Optane, IT can deliver performance improvements on a level that is comparable to in-memory databases. The technology also improves availability of databases through faster startup, higher throughput and reduced latency. Mission Critical VMware on IBM Cloud is designed to support Oracle and SQL databases at a targeted aggregate availability that is higher than many organizations can currently achieve with their on-premises environments. IT decision-makers are often asking “what’s next” in terms of where the technology is leading them. For most organizations, “what’s next” is expanding the use of cloud services to fulfill the fundamental mission of delivering IT as a service. Until now, however, the risk involved in moving mission-critical databases such as Oracle and SQL Server to the public cloud has been seen as too great because no enterprise can afford gaps in either the performance or availability of these apps. “What’s next” is possible right now. IT can now rely on a true enterprise-ready solution for migrating mission-critical database applications to the public cloud without compromising performance and availability. In fact, for many organizations, the move to the public cloud will not only enhance agility and reduce costs, it will actually lead to better performance and higher availability.